During his tenure, Roy L. Coville discovered and unearthed many rocks and fossils from the western prairies of North Dakota. Many of his discoveries were brought to campus which allowed students the opportunity to understand the natural environment and to provide an appreciation of the geological history of the region. Mr. Coville taught Industrial Arts at Dickinson Tate from 1929 until his retirement in 1944. Mr. Coville guided a 1938 senior class activity to bring three large petrified rocks to Dickinson State Teachers College from the North Dakota Badlands. Phi Sigma Pi was chartered on May 30, 1932. An honorary fraternity for men students in education, it also had as members a number of the faculty men including Mr. Coville. 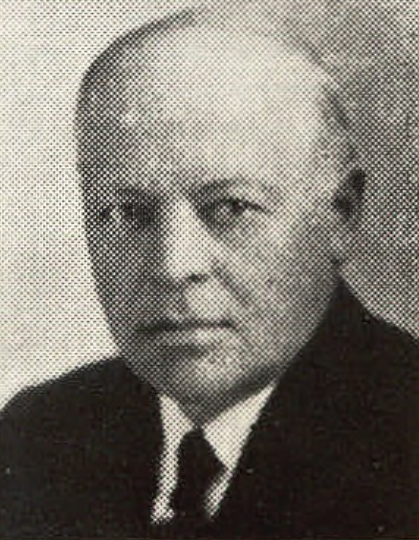 “Roy L. Coville,” Dickinson State University Archive, accessed April 23, 2019, http://dsuarchive.com/items/show/300.